Corina captures the voice of adolescent boys like no author I've read. Written in the first person, from Jason’s point-of-view, we live the crazy ideas, crazy acts and crazy thoughts of the three protagonists as they careen through their teens. The boys do what boys do, i.e. indulge in gross stuff, living life like they’re immortal. Why else would they swim in a creek that smells and is so polluted, it’s different colors at different times of the day. 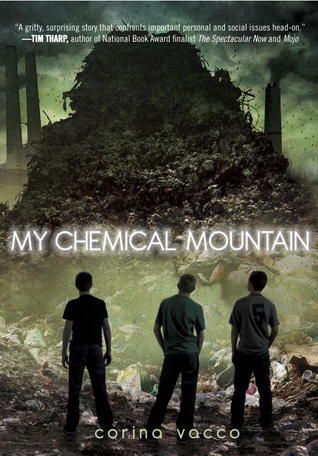 Sign into Goodreads to see if any of your friends have read My Chemical Mountain.